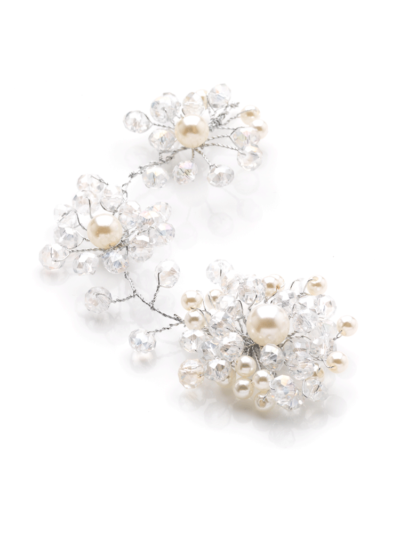 A statement piece. 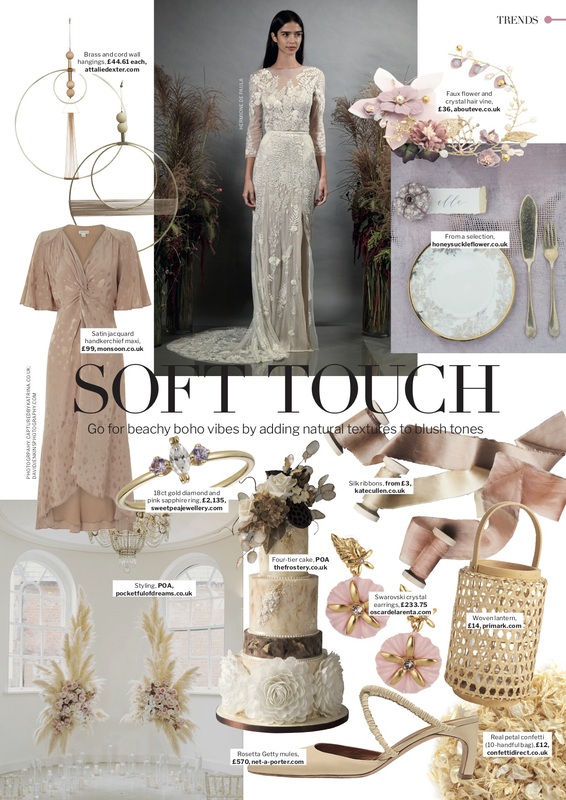 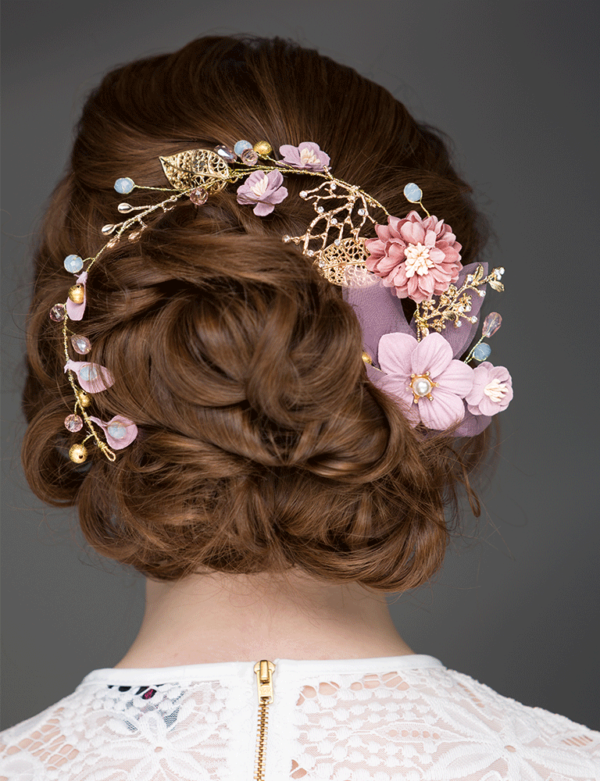 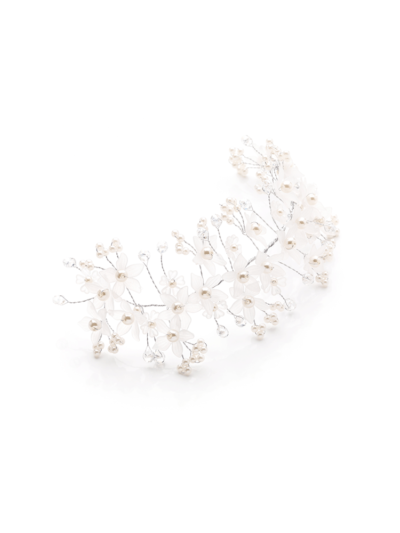 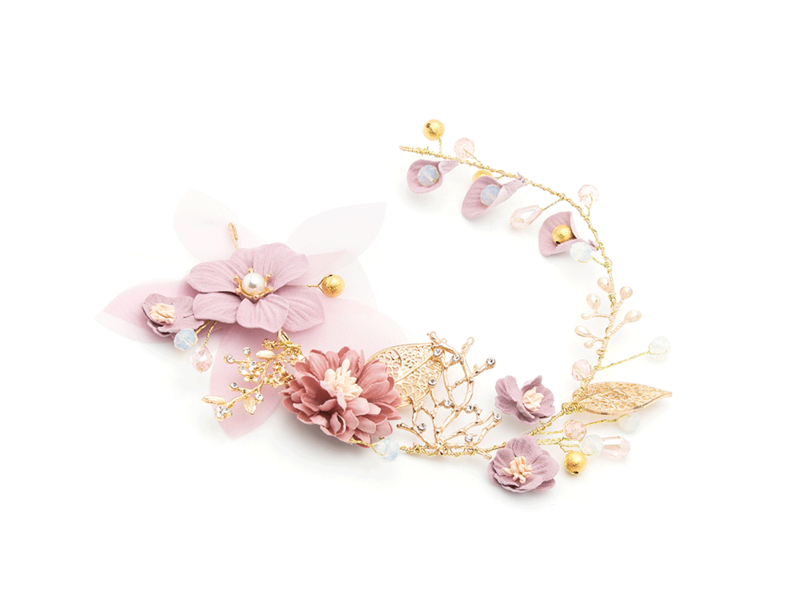 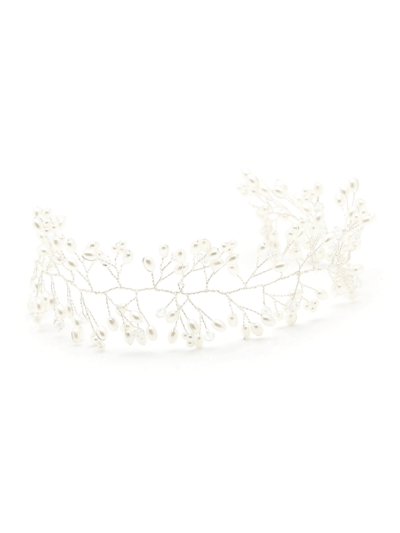 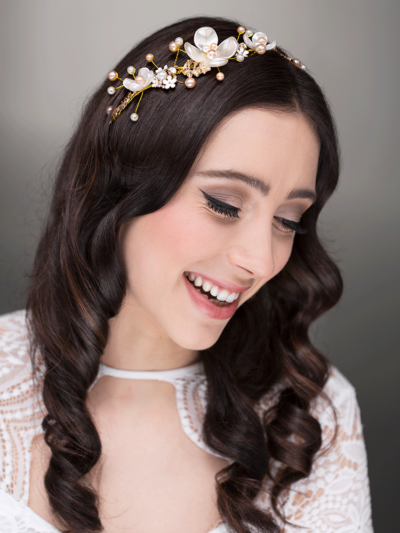 This hair vine with dusky rose pink flowers, crystals on a soft gold vine. 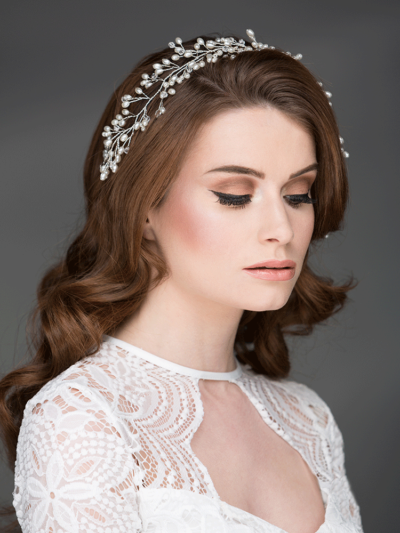 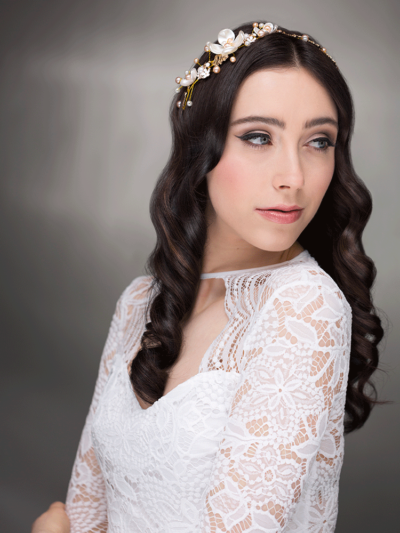 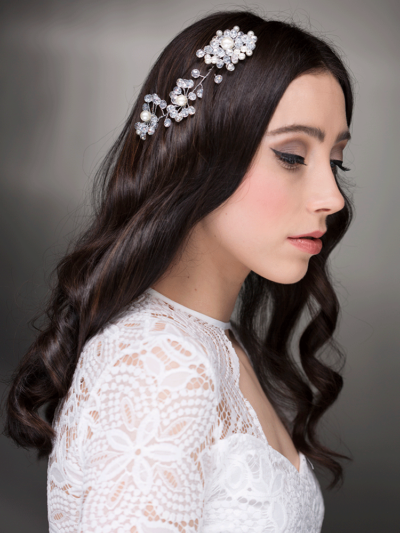 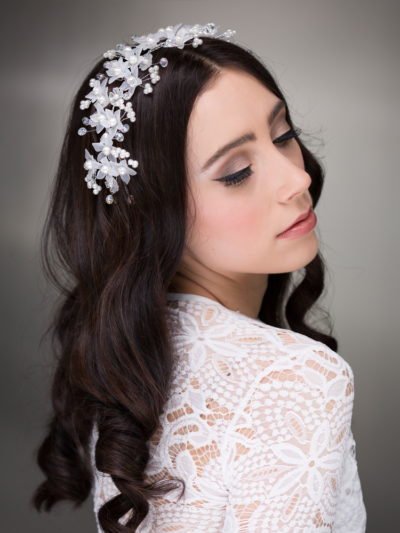 Our Arielle hair vine suits all kinds of wedding day hairstyles from boho waves, woven through braids to stylish up-dos.